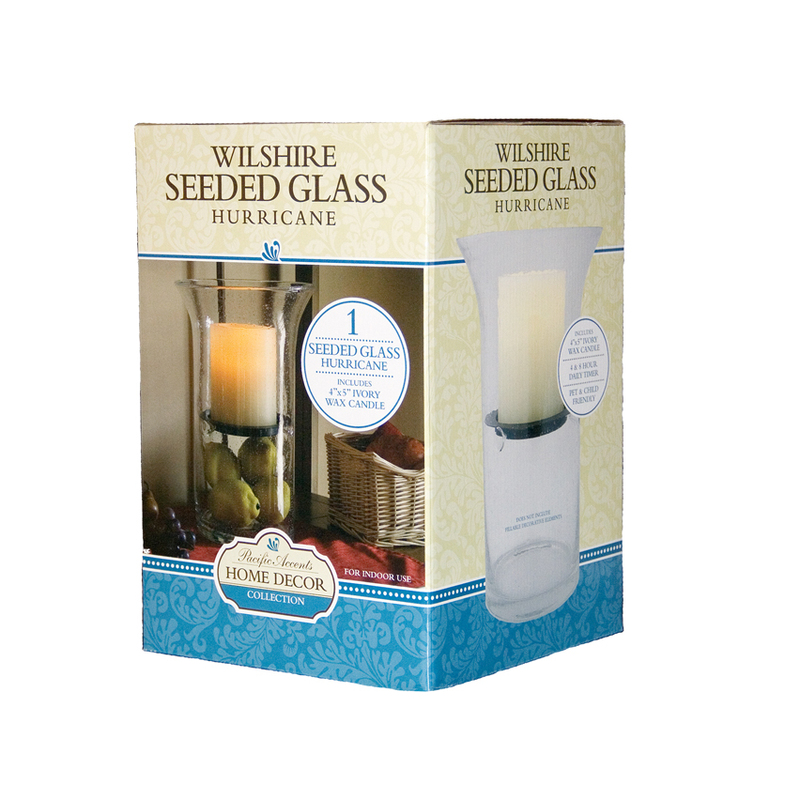 Our generously over sized Pacific Accents Wilshire Seeded Glass Hurricane adds a traditional silhouette to your mantel, shelf or table. 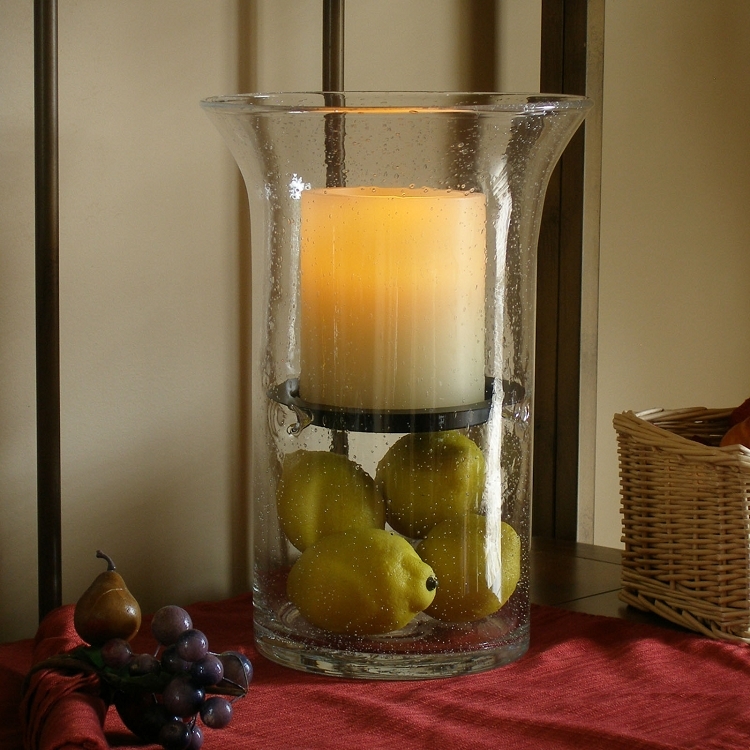 Each hurricane is artisan-crafted in hand-blown glass with effervescent bubbles in a bold bell shape. 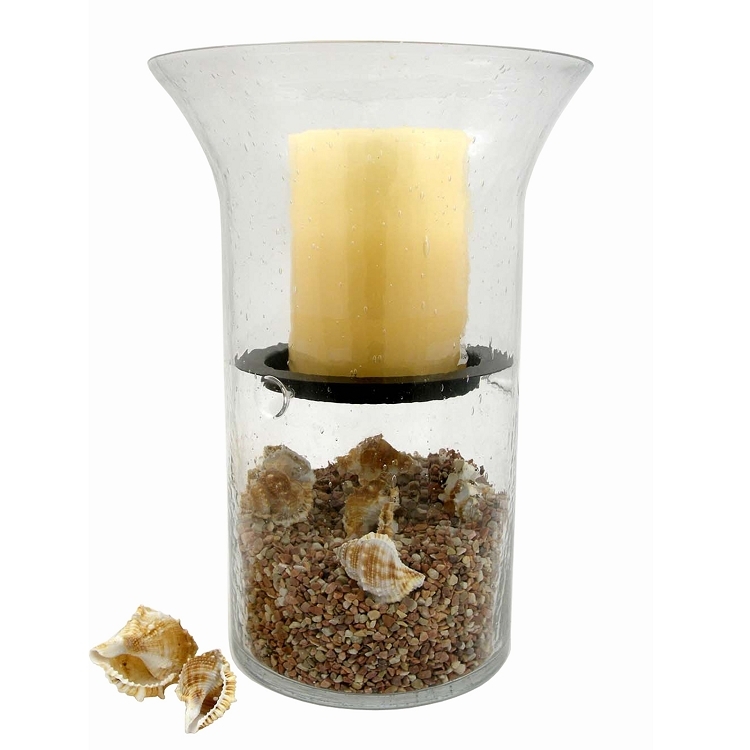 The candle is supported by an elevated metal tray and provides space beneath the candle for accent pieces such as shells, leaves, holiday ornaments, decorative stones and more. 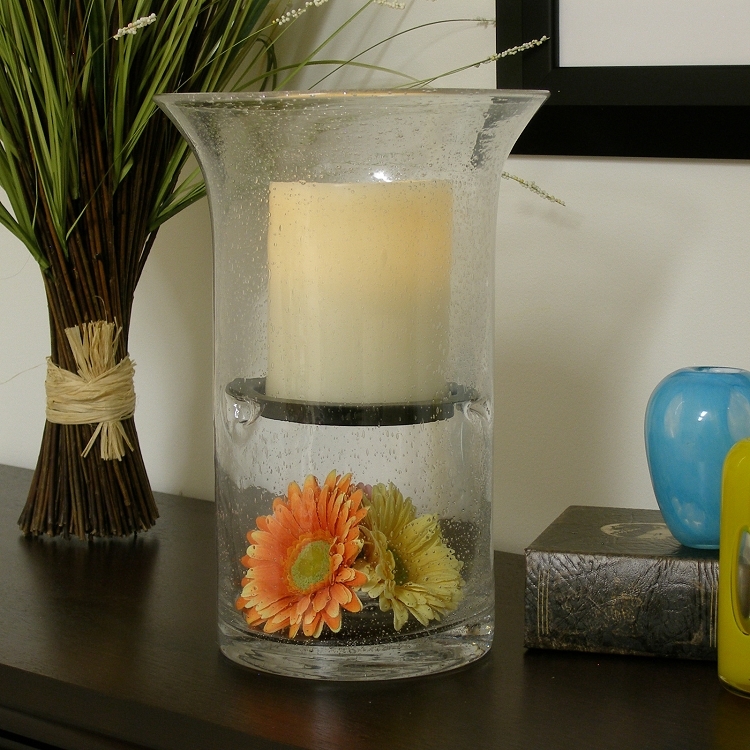 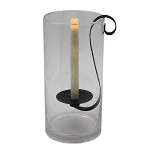 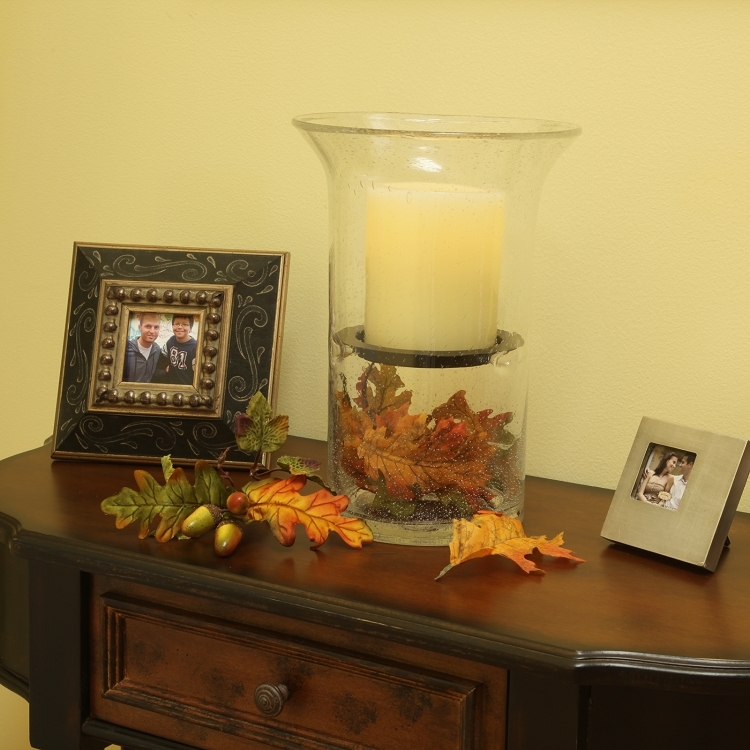 With the candle and tray removed the glass lamp can also be used as a vase. 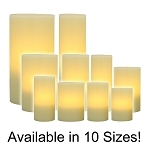 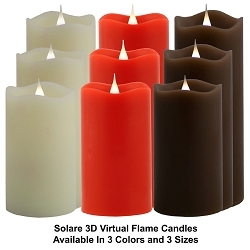 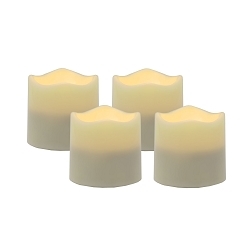 The Wilshire measures an approximate 6" x 12" x 8 1/2"; the flameless candle measures 4" x 5" and features a daily 4 or 8 hour timer; require 2 Alkaline C size batteries, (Not included).